 Big Tom Spiced Tomato Juice • The best Bloody Mary mix ever... every time! • All natural and preservative free. Drinking tomato juice is a love or hate kind of thing, isn't it? Well luckily, here at Big Tom, it is definitely the former. 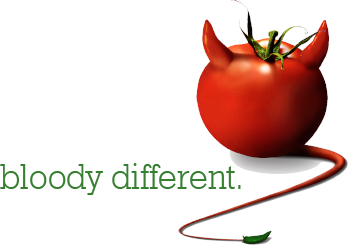 That's why we have spent the last 14 years developing and mastering the world's best spiced tomato juice, Big Tom. In fact, calling Big Tom a "tomato juice" is a bit like calling a Ferrari a "car," or referring to Brad Pitt as "some guy." Big Tom is not just any ordinary tomato juice... it's bloody different. For starters, we use only the finest Portuguese tomatoes, and then we add a special blend of 21 herbs and spices with a little hint of lemon and a dash of Worcestershire sauce for the best Bloody Mary mix ever... every time! Big Tom Launches a new Website! All natural and preservative free. The lowest sodium Bloody Mary mix. The best Bloody Mary mix ever... every time! A deliciously powerful and satisfying drink on its own. A liquid lunch with few calories. The perfect way to �chill out� on a Sunday morning. Made with 21 ingredients from around the world.